We’ve just released a new update for Task Manager for BlackBerry® Smartphones. The new update fixes reported bugs and improves the overall performance of the app. Thanks to Task Manager for BlackBerry® you’ll be able to get an overview of all applications running on your device, both native and third party applications. 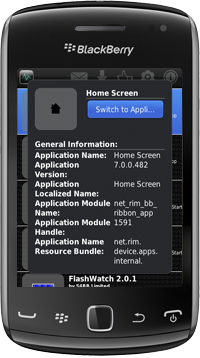 App Task Manager is compatible with all BlackBerry® Smartphones running OS 6.0 and up. Previous Previous post: 50 new ASCII art images for Easy Smiley Pack! Next Next post: Flashlight Pro now available for Free!